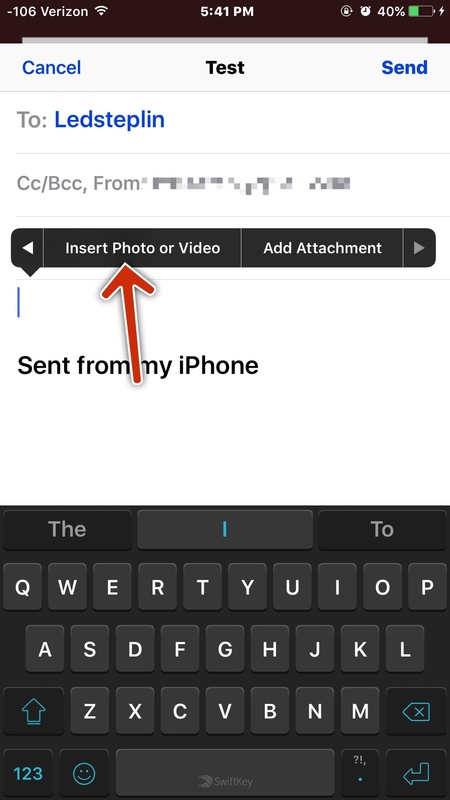 Why can't I attach a photo to an email anymore? Since I've had Iphone7 I can't ATTACH a photo from my photos (on the phone) to an email I'm sending from my phone. It appears it wants to link to ICloud in order to do an attachment. I do not use Icloud. Why did this change. It will only EMBED a photo. This is extremely, extremely frustrating when trying to send quick pics taken from the phone. Can you register in so we can help better? Not sure what you're doing and seeing. If it doesn't work from the photos app, try doing it on the email. 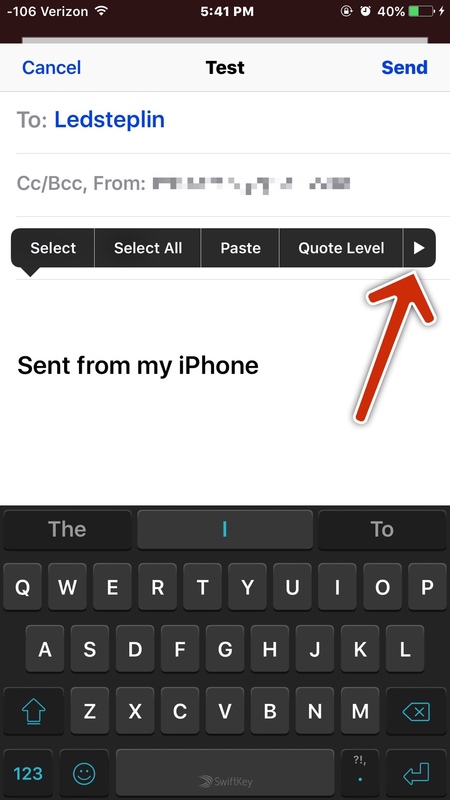 Press on the text field to bring up the black option bar. Tap the caret (arrow) to the right. Then tap to upload photo.